A rumbling sound coming from your boiler is a sign that is kettling, which is never a good thing. Kettling is a serious issue caused by a build-up of mineral deposits inside the heat exchanger. This mineral build-up can restrict or block the flow of water through the heat exchanger, causing water to evaporate in the pipe, creating steam and putting immense pressure on the heat exchanger. If this happens, shut down your boiler right away and contact a professional, as this problem can be dangerous and cause extreme inefficiency. 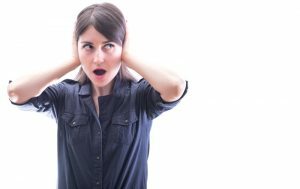 A gurgling sound will likely be heard from the pipes connected to your boiler that run throughout your home. This sound is often associated with uneven heating or a lack of heat. Gurgling is often caused by air bubbles in the pipes, which can reduce the flow of water and impact the system’s ability to heat your home. An HVAC professional will usually drain all of the air out of the system in order to resolve this issue. If your boiler relies on gas, a banging sound typically indicates a delay in ignition. When there is an ignition issue, too much gas ends up compiling in the combustion chamber. When the system does eventually ignite, a small explosion occurs inside the system due to this excess fuel. It is best to contact a professional, as this issue can be potentially dangerous. A grinding sound is typically the result of a ball-bearing issue. The ball bearings inside the motor require proper lubrication to function properly. If they become dry, friction begins to take a toll and you will begin to notice a grinding sound. A lack of lubrication can lead to a wide range of other issues, as it puts a lot of stress on your system. There are a variety of issues that can create a whistling sound inside your boiler, such as trapped air or a partially blocked pipe. Only a trained professional can accurately pinpoint the source of the whistling and figure out why it is occurring. If you need heater repair in Crozet, VA, the team at Mack Morris Heating & Air Conditioning is here to help! Contact us today!